File Form 1040, 1040A, or 1040EZ. Pay the first installment of current year estimated tax. Pay the second installment of estimated tax. Use Form 1040-ES. Individuals living outside the U.S.: File Form 1040. Pay the third installment of estimated tax. Use Form 1040-ES. File Form 1040, 1040A, or 1040EZ if you timely requested a 6-month extension. Pay the final installment of your previous year's estimated taxes. Use Form 1040-ES. Furnish Form W-2 to employees. Furnish Forms 1098, 1099 and W-2G to recipients for certain payments. 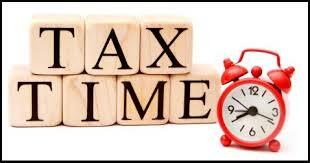 Corporations: File Form 1120 for calendar year and pay any tax due. For automatic 6-month extension file Form 7004 and deposit estimated tax. S Corporations: File Form 1120S for calendar year. Furnish a copy of Sch. K-1 to each shareholder. File Form 2553 to elect S Corporation status beginning with calendar year starting January. Corporations: Deposit the first installment of your 1120 estimated tax. Corporations: Deposit the second installment of your 1120 estimated tax. Partnerships: File Form 1065 if you timely requested a 5-month extension. Corporations: File calendar year Form 1120 or 1120S if you timely requested a 6-month extension. Corporations: Deposit the third installment of your estimated tax. File Form 5500 if you timely requested an extension on Form 5558. Partnerships & Corporations in Texas: File Texas Franchise Tax Return if you timely requested a 6-month extension. Corporations: Deposit the fourth installment of your 2015 estimated tax.